Two New Summer Sewing Workshops!! 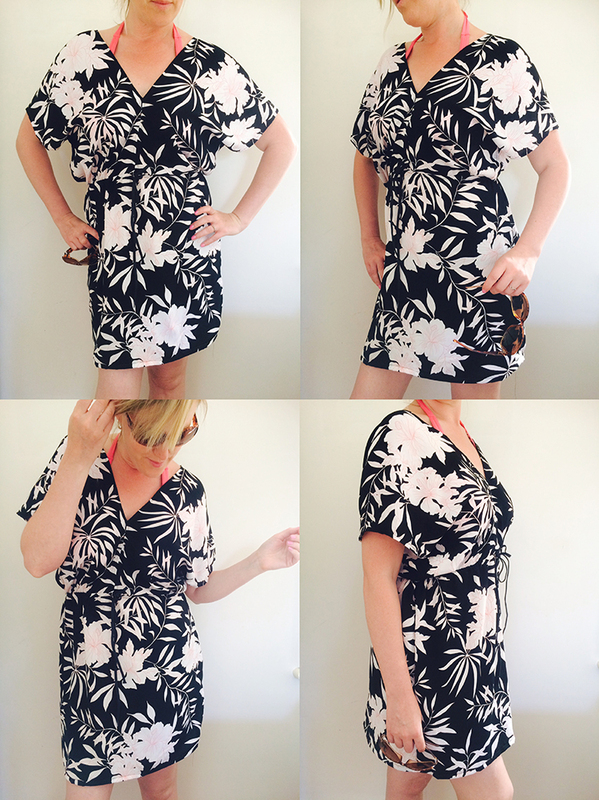 Learn to make this flattering beach cover-up dress that looks just as good on the beach as it does worn out in the evening. An Ideal project for beginners, rusty returners or those with more experience that just want to spend a few hours sewing up a holiday wardrobe! The dress is simple and quick to make, has a comfortable drawstring waist and can be made in a range of lightweight fabrics – it looks great in floaty prints. All you need is 1m of 140cm+ wide lightweight woven fabric (eg. crepe, satin, lawn, challis). You’ll learn how to sew accurate seams, neat hems and insert a drawstring. By the end of the day you’ll have a beach to evening garment ready for your summer holidays and what’s better – a copy of the instructions so you can then go and run up a whole suitcase full! Suitable for absolute beginners and those with a bit of sewing experience – includes instructions to take home & make more dresses. 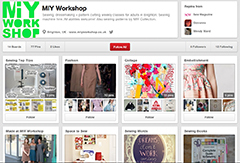 Suitable for beginners and more experienced dressmakers. Class size limited to just 5 people. 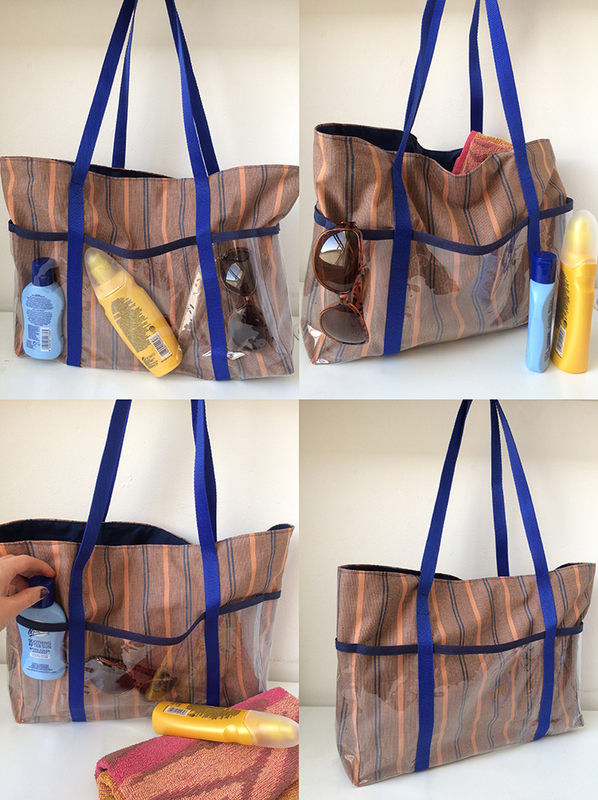 Learn to make this roomy practical beach bag that will double up as a useful shopping / nappy bag when the holidays are over! An Ideal project for beginners, rusty returners or those with more experience that just want to spend a few hours sewing up a perfect holiday essential. This roomy bag has large clear vinyl outer pockets that are waterproof and wipe clean – perfect for easy access to all your beach essentials. The bag can be made in a wide range of medium weight cotton canvas and furnishing weight fabrics, prints, stripes and plains all work well. It would look fabulous in a stylish stripey ticking. All you need is two lengths of 40cm of 140cm+ wide woven fabric (eg. denim, canvas, ticking) and 1.1m of bias binding. Candy will provide the clear PVC pre-cut for the pockets and you will be able to buy the webbing for the straps on the day. You’ll learn how to sew accurate seams, insert a bag lining and sew PVC. By the end of the day you’ll have a stylish beach bag ready for your summer holidays and beyond. What’s better – a copy of the instructions so you can then go and run up more! Suitable for absolute beginners and those with a bit of sewing experience – includes instructions to take home & make more bags.